(MONTREAL, QC – JANUARY 14, 2016) This year, the Lexus GS gets the “F” series treatment – combining world-class, track-proven speed and agility with the opulence and refinements of a four-door luxury sedan. And drivers will get their first look at the Montreal International Auto Show as the 2016 Lexus GS F makes its Canadian debut – January 15-24 in the Lexus booth at the Palais des Congrès. 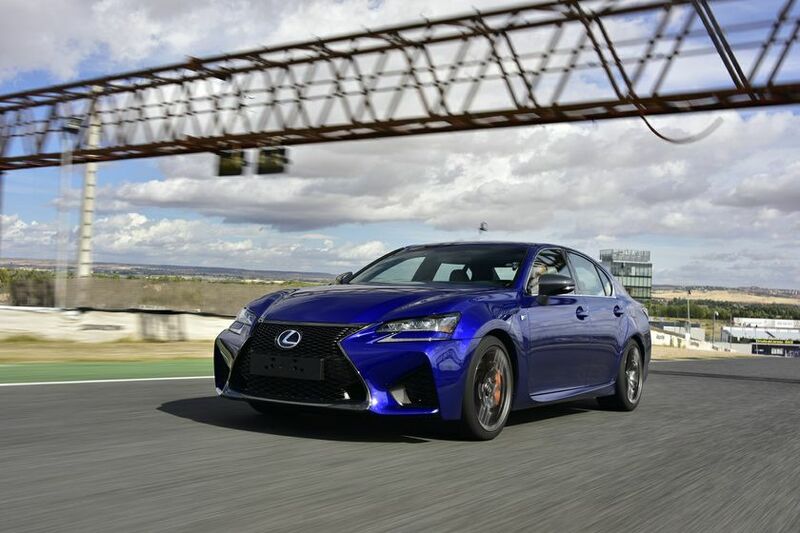 The all-new 2016 Lexus GS F delivers a driving experience that can only be described as “shocking” – because it performs in a manner that’s completely unexpected from a luxury sedan. A naturally-aspirated, Atkinson-cycle 5.0L V8 generates 467 peak horsepower at 7,100 RPM and up to 389 lb-ft of torque. This is mated to a lightning-quick eight-speed Sport Direct Shift automatic transmission that delivers shifts as quick as one-tenth of a second. The GS F’s power is further enhanced by the vehicle’s class-leading lightness, which means it’s quick off the starting line and surprisingly fuel efficient for a high-performance sports sedan. The GS F’s advanced technologies and performance enhancements ensure maximum driving control no matter where you’re headed. Everything between the powertrain and the pavement is tuned for remarkable high-speed handling, steering and stopping. GS F’s bold exterior styling promises an adrenaline-pumping drive, as Lexus designers crafted a vehicle with the looks to match its impressive performance. Inside, the GS F has a luxurious yet functional interior styling delivering design with purpose – evoking the cockpit of a modern fighter jet. The GS F is offered in a single, “all-in” configuration, featuring a long list of premium amenities as standard. This includes comprehensive safety systems. The GS F is one of the first models to be equipped with the Lexus Safety System+, in addition to other active and passive safety technologies. The all-new, 2016 Lexus GS F goes on sale this winter at Lexus Dealers across Canada. For more information on features and specifications, visit www.lexus.ca/gsf.